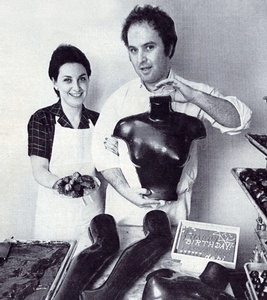 In the 1970's, Diane & Tom Krön created a sensation with the chocolate-covered strawberry, the inventiveness of their moulded products, and most of all, the quality of their chocolate. Krön soon became a national brand and a status symbol. Among their many devoted customers were Jacqueline Kennedy, Andy Warhol, Katherine Hepburn, Henry Ford, Estee Lauder, etc. 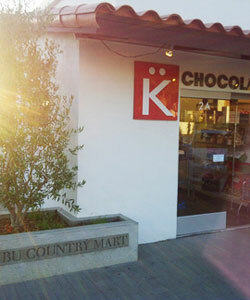 After a twenty year hiatus, Diane opened new stores and introduced new products as Diane Kron/K Chocolatier in Beverly Hills, Malibu and New York City. Featured as the ''Rolls Royce of Chocolates'' on the Food Network, Diane Krön has again become a legend. 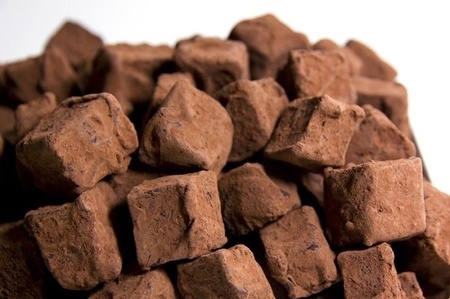 This new luxury chocolate is based on the original Krön family recipe, but using as little sugar as possible. Diane Kron Chocolatier boutiques are serious establishments for the true chocolate connoisseur. 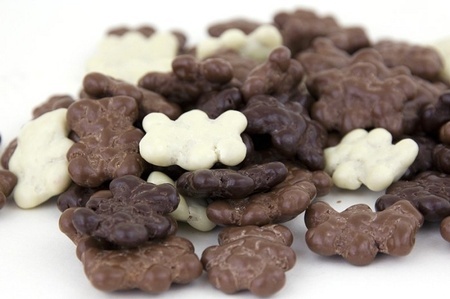 You won't understand these chocolates until you have tasted them, so just call or get in the door before they're gone!